Hit The Deck Festival – Nottingham / Bristol 2014 » Rolo Tomassi Hit Bristol & Nottingham This November! 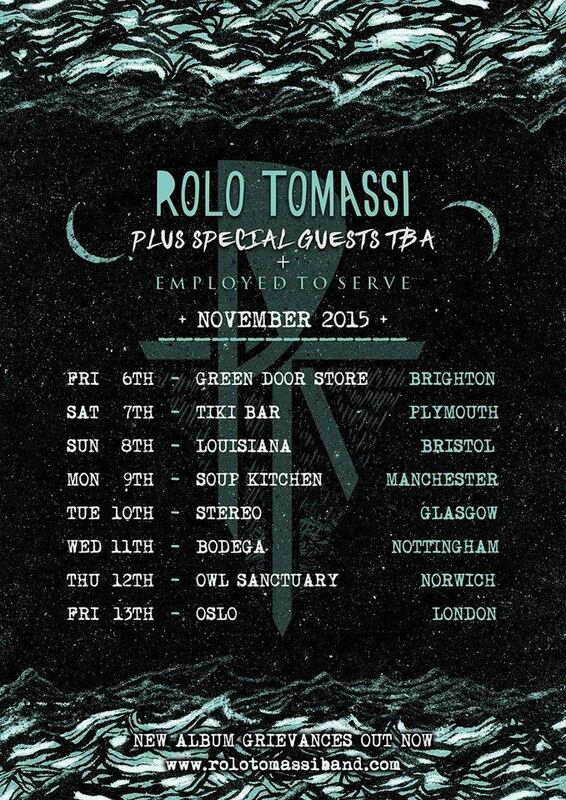 Blog: Rolo Tomassi Hit Bristol & Nottingham This November! After their insane sets at Hit The Deck 2015, Rolo Tomassi will be returning to conquer Bristol’s Louisiana and The Bodega in Nottingham this November as part of their UK tour. These must-see shows come in support of their incredible new album ‘Grievances’ and while there are special guests still to be announced, we can reveal that one of the acts joining them on tour will be Employed To Serve. Tickets are available to book today on Alt-Tickets.